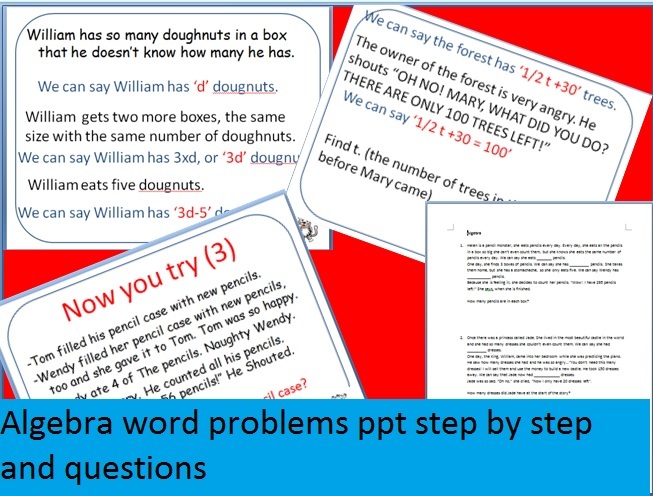 A PPT which breaks down word problems to create simple algebraic equations before solving them. Funny stories make the questions, so I’d suggest you update the PPT with your students’ names. After you’ve done this as a class, you can then use the last slides on the PPT to let students have a try, and give them a 2 question worksheet to try alone.